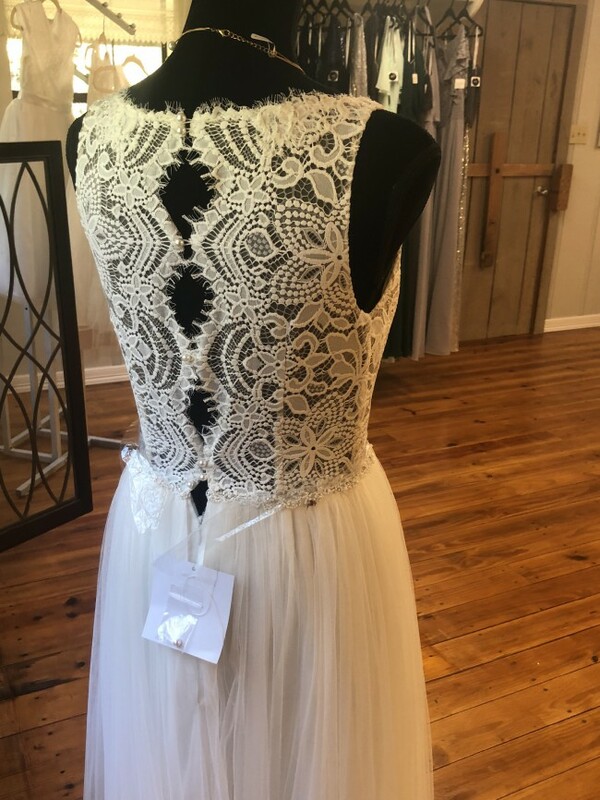 Brand new Boho Wedding dress never worn. Sample Gown. Shear bodice accented with all over lace. V neckline with illusion keyhole back. Attached belt with Swarovski crystals. A- line tulle skirt. Adorable wedding gown. Pearl buttons and zipper in back.